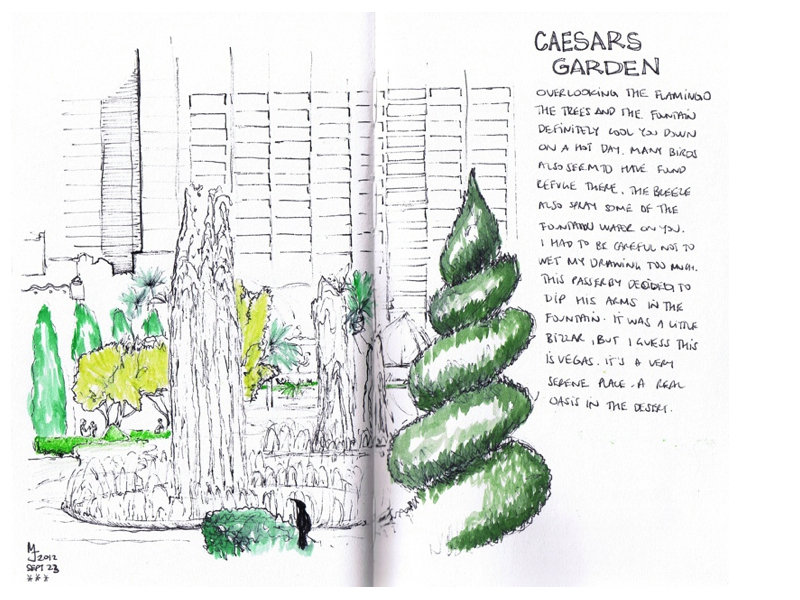 The Caesars Palace Hotel is truly spectacular and I went back quite a few times during my trip to draw various areas of this gigantic site. The designers and architects definitely did justice to Julius Caesars. 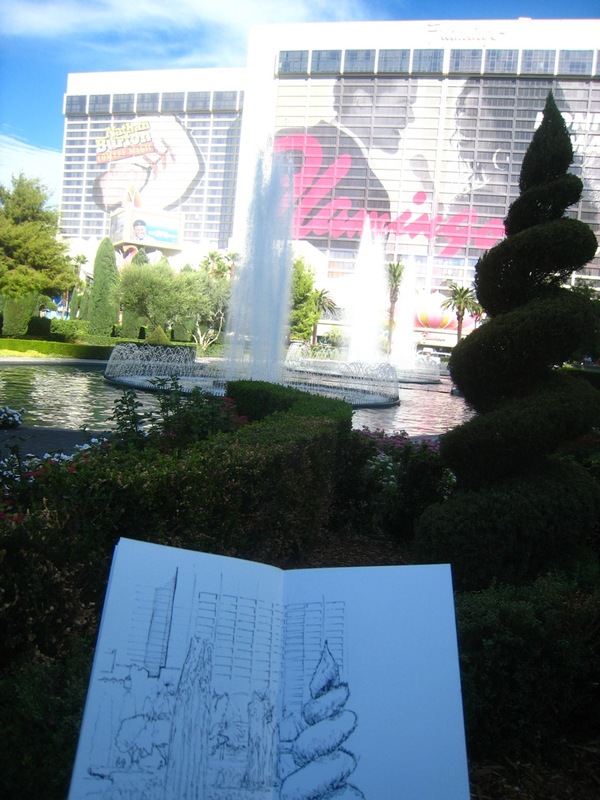 Here I drew a portion of the garden at the main entrance facing the strip. The area is cooler dues to the shades provided by the many trees and the fountain. In fact, many birds seems to have found refuge here as well, and I could hear them I was drawing. Once stood at the edge of a bush long enough for me to sketch him. It's really an oasis in the desert.